You might need a little distraction after long months of working, maybe a little domestic vacation to some nice city with one of these cheap hotel deals from all over the US. 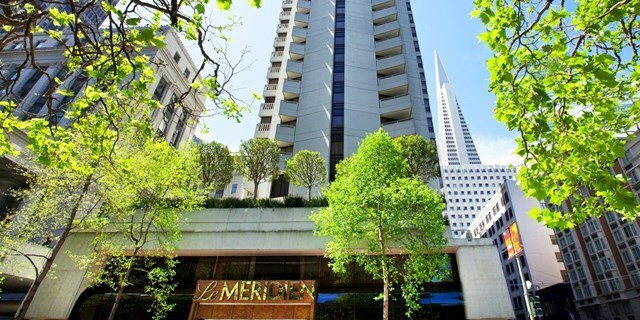 Book yourself into Le Meridien San Francisco for a couple of days starting from $179 per night and you will pay 30% less than on regular dates. But you can also spend your escape in Los Angeles Catalina in a 4 star hotel with breakfast and champagne from $199 nightly, go to Orlando to stay in a Hilton hotel for 55% less from $89, take a trip to Madison in Seattle and stay at the Edgewater Hotel for $99. Choose one of them and book it before they all sell out! The 4 star Le Meridien hotel is located in the financial district of San Francisco and close to major attractions like Fisherman’s Wharf and Union Square. Apart from paying 30% less for the San Francisco hotel, you will also get two free cocktails upon arrival and enjoy free Wi-fi access. If you book Le Meridien by September 26, you can stay for less on select dates through January 2017. Before you get this deal, you should search the box, or rather some of the travel sites, to see more hotel deals for San Francisco. This entry was posted on Monday, September 19th, 2016 at 11:18 am and is filed under Hotel Deals, Top Deals. You can follow any responses to this entry through the RSS 2.0 feed. You can leave a response, or trackback from your own site.